In Warsaw, people gathered outside the presidential palace to lay flowers and light candles. Thousands of people have gathered outside the presidential palace to pay their respects. There has been a spontaneous outpouring of grief, no matter what people thought of Lech Kaczynski. He was a divisive figure in Polish society, especially among younger Poles. People are just stunned, visibly moved and in tears, whether they agreed with the president’s political views or not. The largest church bell in Poland, at Krakow Cathedral, has been rung. It never tolls generally, only for very, very solemn occasions. The last time it did so was for the death of the Polish pope, John Paul II, five years ago. “Flight controllers… suggested that the plane be forwarded to Minsk but as far as we know the crew took an independent decision to land the plane in Smolensk,” Smolensk regional government spokesman Andrei Yevseyenkov told Russian TV. Russian officials said 97 people were killed in the crash, including eight crew. Polish officials said that 89 people had been scheduled to fly in the delegation to the Katyn commemoration, but one person missed the flight. Mr Putin visited the crash site, after saying he would personally oversee the investigation into the crash. “Everything must be done to establish the reasons for this tragedy in the shortest possible time,” he said. He was to meet his Polish counterpart, Mr Tusk, in Smolensk. Russian officials said all the bodies had been recovered from the scene and were being taken to Moscow for identification. Russia’s Emergency Minister Sergei Shoigu said both of the plane’s flight information recorders had been found and were being examined. Mr Kaczynski himself had suffered scares while using the plane in late 2008, when problems with the aircraft’s steering mechanism delayed his departure from Mongolia. Mr Kaczynski’s twin brother, Jaroslaw, a former prime minister and now head of the main opposition party, was said to be “devastated”, an aide told AFP news agency. 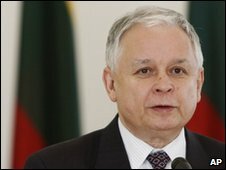 Lech Kaczynski, who had fewer powers than the prime minister but had a significant say in foreign policy, was a controversial figure in Polish politics. Bangkok’s showcase new international airport is no stranger to controversy. The two were then put in what Mr Ingram describes as a “hot, humid, smelly cell with graffiti and blood on the walls”. They were taken by Tony to meet the local police commander – but, says Mr Ingram, for three hours all they discussed was how much money they would have to pay to get out. Mr Ingram says they wanted £7,500 ($12,250) – for that the police would try to get him back to the UK in time for his mother’s funeral on 28 April. 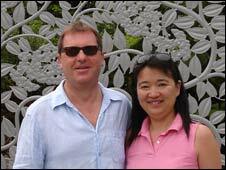 Tony then took them to an ATM machine at the police station, and told Ms Lin to withdraw as much as she could from her own account – £600 – and Mr Ingram then withdrew the equivalent of £3,400 from his account. This was apparently handed over to the police as “bail”, and they were both made to sign a number of papers. “I will be watching you,” Tony told them, adding that they would have to stay there until the £7,500 was transferred into Tony’s account. 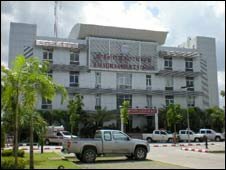 She gave the name of a Thai lawyer, and, says Mr Ingram, told them they were being subjected to a classic Thai scam called the “zig-zag”. Their lawyer urged them to expose Tony – but also warned them that if they fought the case it could take months, and they risked a long prison sentence. After five days the money was transferred to Tony’s account, and they were allowed to leave. Mr Ingram had missed his mother’s funeral, but at least they were given a court document stating that there was insufficient evidence against them, and no charge. “It was a harrowing, stressful experience,” he said. The EXPRESS has spoken to Tony and the regional police commander, Colonel Teeradej Phanuphan. Tony says about half the £7,500 was for bail, while the rest were “fees” for the bail, for his work, and for a lawyer he says he consulted on their behalf. Tony told the BBC that so far this year he has “helped” about 150 foreigners in trouble with the police. He says sometimes he does it for no charge. More than 300 passengers and crew aboard a British Airways jet at a US airport were evacuated down emergency slides after smoke filled the cabin. 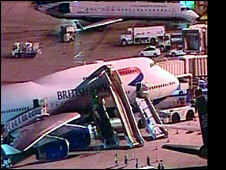 The Boeing 747 had pulled away from the departure gate at Phoenix, Arizona, en route to London Heathrow when passengers began complaining of smoke. There were shouts of “fire” and some people panicked but none were seriously injured, eyewitnesses told the BBC. Fire crews found light smoke but no fire and suspect an electrical problem. The incident occurred at about 2000 local time (0300 GMT) on Friday, said a Phoenix fire official, Capt Shelly Jamison. About 15 people received minor scrapes and bruises, and one person was taken to hospital with shoulder pain. Confirming the safe exit of all 298 passengers and 18 crew aboard Flight BA288, British Airways said the aircraft had been evacuated “following the usual procedures”. Charles Woolf, 16, was sitting at the rear of the plane, waiting to return home to Fareham in the UK after a holiday. Everything appeared normal as the plane taxied out, he told News, but after it had been waiting about 10 minutes for take-off, “a strange but harsh smell filled the cabin – it made my nose tingle and burned the back of my throat”. “Some people started to cough, and a few started to worry and panic,” he said. “After about five minutes, more people started to cough, someone towards the front of the aircraft shouted ‘fire’, the doors of the aircraft opened and the slides were deployed. “People were pushing a bit to try and get to the exit, but I’d say within 20 seconds of the doors opening I was out of the plane. The 16-year-old praised the cabin crew’s professionalism. A bus carrying Russian visitors has plunged into a ravine in southern Israel, killing at least 24 people, rescue workers say. More than 50 passengers were on the bus when it came off a desert road and rolled down a steep slope near the Red Sea resort of Eilat. Several of those hurt were said to be in a serious condition. The group had only just arrived and were being transported to Eilat from Ovda airport in the Negev desert. The group had come from the Russian city of St Petersburg. Local media reports said they were travel agents from the city on a trip to survey the Red Sea resort. Dozens of rescue workers, ambulances and several air force helicopters rushed to the site to evacuate the injured. Television footage showed the blue bus on its side at the bottom of the ravine. Several of the passengers were thrown from the bus as it rolled down the slope, an eyewitness said. Luggage and wreckage lay strewn across the slope. Some of the casualties were taken to hospital in Eilat, where medical personnel attending a conference were drafted in to help out. Others were flown to the town of Beersheba, a police spokesman said. 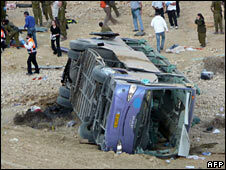 Six injured people who were trapped in the bus were rescued, an Israeli military officer said. “They were saved because they were trapped in their seats,” the Associated Press news agency quoted the unidentified officer as saying. The Russian embassy in Tel Aviv said it had sent a representative to the scene of the accident. It is being seen as a tragic accident rather than any kind of attack. The road where the accident happened links Eilat, a popular holiday destination, with Ovda airport, some 50km (30 miles) away. The bus broke through a rail and rolled down a ravine, witnesses said. It crosses mountainous terrain and involves a series of hair-pin bends. The driver of another bus said that the vehicle overtook him in a no-passing zone and then crashed through a guard rail, the Associated Press news agency reported. A taxi driver who saw the accident gave a similar account to Israeli public radio. “The driver of the bus tried to overtake another bus in a hair-pin curve and lost control of his vehicle,” he said. 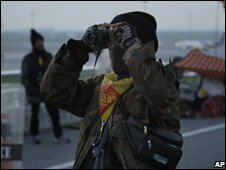 The incident came after the People’s Alliance for Democracy blocked the road to the city’s old airport in a renewed attempt to unseat the government. The PAD said on Sunday it had begun a “final battle” to achieve the goal. 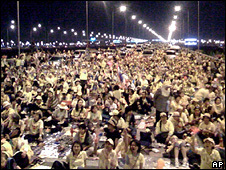 Meanwhile, PAD supporters have stormed Bangkok’s main international airport, leading it to suspend outgoing flights. The airport’s manager, Serirat Prasutanon, said the authorities had tried to negotiate with the protesters, “but to no avail”. “For the safety of passengers, we have to stop flights out of the airport temporarily until the situation returns to normal,” he told the Associated Press. Exactly what the protesters hope to do there is not clear, the BBC’s Jonathan Head in Bangkok says, but they may be hoping to prevent Prime Minister Somchai Wongsawat from returning from the Apec summit in Peru on Wednesday. Earlier, Thai TPBS television broadcast pictures of the violence on the main road to the capital’s old airport. The footage showed shots being fired from a truck into crowds after rocks were thrown. On Monday, PAD protesters converged on Bangkok’s old Don Muang international airport, from where the cabinet has been operating since its offices were occupied three months ago. Organisers say the protest is a “final battle” to bring down the government. A Boeing 737 with 145 people on board has landed safely at Copenhagen airport despite suffering problems with its landing gear, Danish media have said. The plane, belonging to the airline, Jettime, had been flying from Billund to Lanzarote when it developed a fault in its front landing gear, they added. After dumping fuel, the plane was ordered to land at Copenhagen airport. Danish TV showed the jet touching down on the runway and taxiing to a gate, followed by several rescue vehicles. It has been a week since Alaska Governor Sarah Palin was catapulted from relative obscurity to center stage as US Republican John McCain’s choice for running mate. Here are 10 things we now know about her. 1. Her five children are named Track, Bristol, Willow, Piper and, last but not least, Trig Paxson Van Palin. 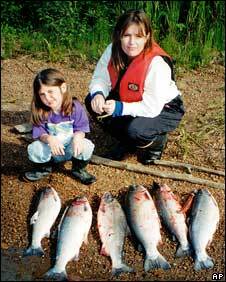 According to the Washington Post newspaper, Track was named after the course of the sockeye salmon the family fishes off the town of Dillingham, while her eldest daughter’s name comes from Bristol Bay, an area known for its salmon fisheries. The name Willow relates to the state bird, the willow ptarmigan, and a nearby town, the paper says, while daughter Piper shares her name with the family’s small plane. Trig is the Norse word for “brave victory”, the Post adds. 3. John McCain picked someone who not only appeals to “Wal-Mart Moms” but is one herself, shopping for the family in a local branch. Not only that, writes New York Times columnist William Kristol, but “he picked someone who, in 1999 as Wasilla mayor, presided over a wedding of two Wal-Mart associates at the local Wal-Mart”. 4. 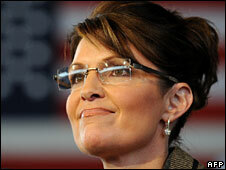 Mrs Palin enjoys moose-hunting and salmon-fishing – and has said her favorite dish is moose stew. Former Republican senator and one-time presidential hopeful Fred Thompson described her as “the only nominee in the history of either party who knows how to properly field-dress a moose”. Cindy McCain, in her speech to the party’s national convention, said her husband John had “picked a reform-minded, hockey-mommin’, basketball-shooting, moose-hunting, salmon-fishing, pistol-packing mother-of-five for vice-president”. 5. A month before her fifth child, Trig, was due, Mrs Palin’s waters broke while she was in Texas to address a conference. She delivered her speech nonetheless and embarked on the long flight back to Alaska – changing planes in Seattle – before traveling an hour by road to hospital to give birth. She says she was not in “active labor” and her doctor said it was fine. Alaska Airlines allows women to travel in the late stages of pregnancy. Husband Todd – a commercial fisherman – is quoted by the s Anchorage Daily Newas saying: “You can’t have a fish picker from Texas.” Three days later, Mrs Palin was back at work. 6. As governor of Alaska, Mrs Palin ditched plans for a “bridge to nowhere” – a federally-funded project to link a handful of Alaskans to an airport at a cost of hundreds of millions of dollars. In her speech to the Republican National Convention, she said she had told the US Congress “thanks, but no thanks”. 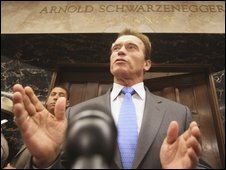 But US media say she appeared to support the project while running for governor in 2006, though she said the proposed design was too “grandiose”. And when she announced the cancellation of the bridge a year ago – after it gained notoriety as an example of wasteful spending – she hardly seemed to be turning down federal funds out of thrift. She explained the decision by saying, “It’s clear that Congress has little interest in spending any more money on a bridge between Ketchikan and Gravina Island.” The federal funding was diverted to other projects in Alaska. 7. In a line that has gone down well at the Republican National Convention and on the campaign trail, she boasts of putting the previous governor’s “luxury jet” on eBay as a measure to cut wasteful spending. That is true. But what she has not always explained to her audience is that the plane failed to sell on the internet auction site and so aides had to broker a deal with a buyer. 8. She was baptised a Catholic as an infant but attended a Pentecostal church in Wasilla – her hometown since her parents moved to Alaska from Idaho when she was three months old – for many years. She now attends Wasilla Bible Church, a non-denominational, evangelical church. The Associated Press reports that the church is promoting a conference that promises to convert gays into heterosexuals through the power of prayer. 9. As hunters sometimes do, Mrs Palin has incurred the wrath of wildlife-lovers. It’s not just that she shoots moose and caribou, she has also backed legislation to encourage the aerial hunting of wolves, as a “predator control” measure. Plus, she has opposed the US government’s listing of a variety of animals as endangered, including the polar bear and the beluga whale. Unlike Mr McCain and to the horror of many environmentalists, she actively supports drilling for oil in the Arctic National Wildlife Refuge. Three men have been found guilty of a massive terrorist conspiracy to murder involving home-made bombs. Abdulla Ahmed Ali, Assad Sarwar and Tanvir Hussain’s convictions follow a huge terrorism inquiry, which led to sweeping airport restrictions. The three, on trial with another five men, had pleaded guilty to plotting to cause an explosion. Seven admitted plotting to cause a public nuisance. The eighth man, Mohammad Gulzar, was cleared at Woolwich Crown Court. The group had been accused of plotting to bring down transatlantic airliners with home-made liquid explosives, disguised as soft drinks. But after more than 50 hours of deliberations, the jury did not find any of the defendants guilty of conspiring to target aircraft. The jury was also unable to reach verdicts against four of the men in the six-month trial, all of whom were accused of recording martyrdom videos. The court heard prosecutors allege that the eight men were planning to carry liquid explosives on to planes at Heathrow, knowing the devices would evade airport security checks. Police said the plot had been inspired by al-Qaeda in Pakistan – and the August 2006 arrests caused chaos at airports throughout the country. The court heard that the alleged plot could have caused unprecedented casualties, with a global political impact similar to the 9/11 attacks on the United States. But in their defense, the seven men who had recorded videos denouncing Western foreign policy said they had only planned to cause a political spectacle and not to kill anyone at all. The ringleader, Abdulla Ahmed Ali, 27, of Walthamstow, east London, created home-made liquid explosives in a flat which prosecutors said were designed to evade airport security. He and five of the others – Ibrahim Savant, 27, of Stoke Newington, north London, and, from east London, Umar Islam, 30, of Plaistow, Hussain, 27, of Leyton, and Waheed Zaman, 24, and Arafat Waheed Khan, 27, both of Walthamstow – had recorded what the prosecution alleged were “martyrdom videos” denouncing the West and urging Muslims to fight. Prosecutors said the bombers would then have completed and detonated the devices during their flights once all the targeted planes had taken off. Sarwar was said in court to be the quartermaster of the plot, buying supplies needed to make the bombs. Prosecutors said that Mr Gulzar, cleared by the jury, had flown into the country to oversee the plot’s final stages – something he vehemently denied during the trial. The plot came to light after the largest ever surveillance operation involving officers from both MI5, the Metropolitan Police and other forces around the country. Ali, Sarwar and Hussain told the jury they had wanted to create a political spectacle in protest over foreign policy. It would have included fake suicide videos and devices that would frighten rather than kill the public. 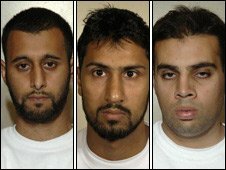 Ali, Sarwar and Hussain, along with Savant, Islam, Khan, and Zaman, also admitted conspiring to cause a public nuisance by making videos threatening bombings.